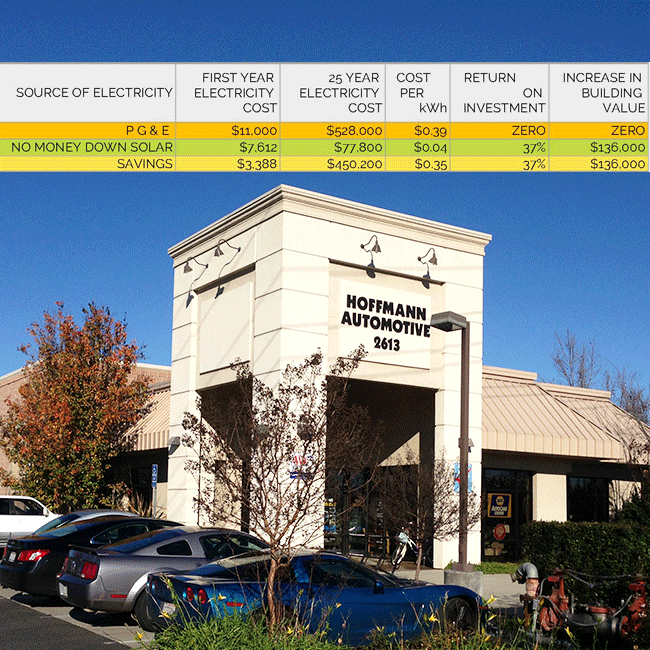 Businesses that own their buildings benefit the most from LED lighting retrofits and a solar system. With paybacks from 2 to 3 years and no money down financing, it is easy to save money from day one, with savings increasing over time. The owner of the building can benefit from an increase in building value and residual income. 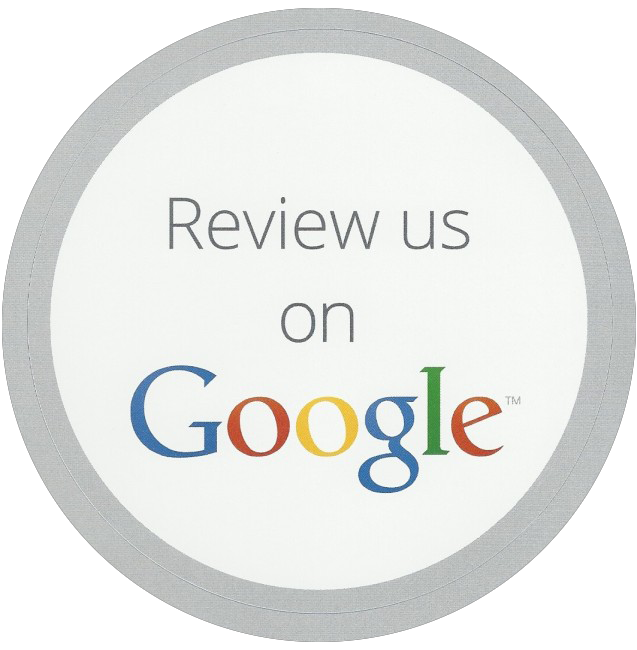 The business can benefit from reduced costs, better lighting and good public relations. Chris Borch wanted to modernize his facility so that he would set the right tone for the high end clients he wants to service. With an LED upgrade installed along with his solar system, he was able to completely upgrade the lighting, eliminate the usage portion of his PG&E bill, and accomplish this with a 2.4 year payback. 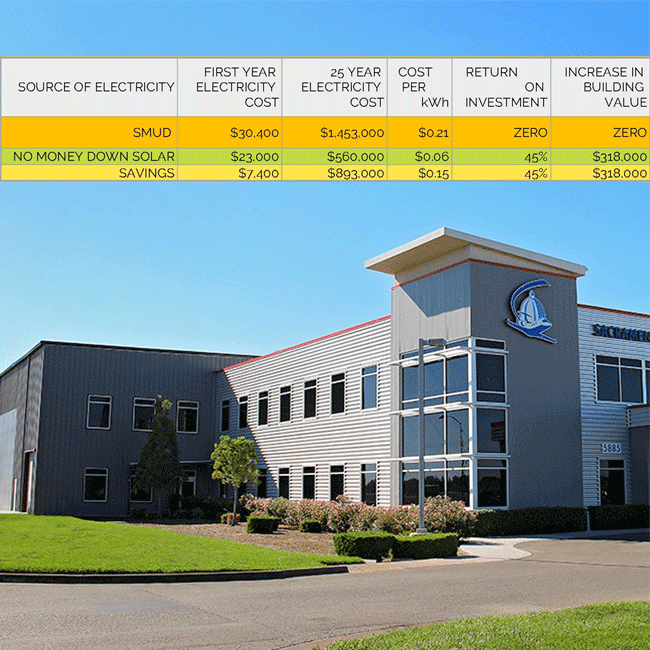 Machine shops have large power bills and adding a commercial solar system reduces that cost. Since the third generation has joined M&M Machine, the owners plan to enjoy the reduced power bills for a long time. Fluid Tech is a growing Sacramento business. 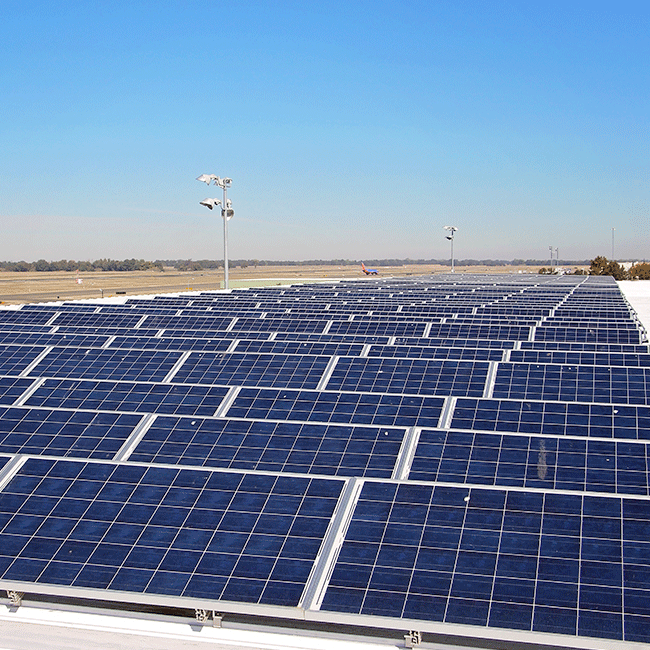 We installed a new canopy to support their first phase of onsite solar generation. 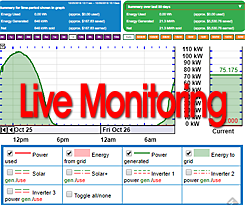 As their power usage grew, we combined a new 480 Volt service with more panels on their solar system, to cover this increased usage. The new service came with a 30% tax credit since it was a part of the solar system, just like the new canopy out front did with the first phase of their solar system. 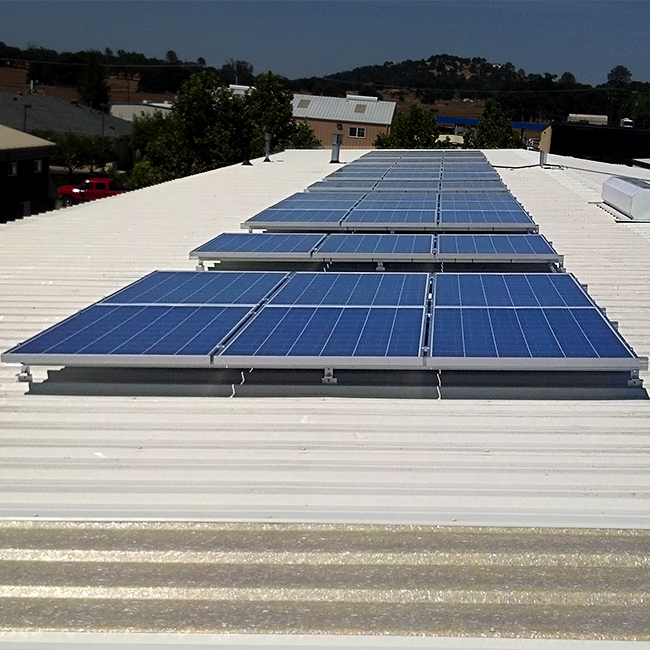 With several locations, this one was company owned and the obvious choice for a new solar system. CitiCare will provide all the Operations and Maintenance on the system for a very small fee for the owners, so they do not have to keep track of something not in their core business. This machine shop was burdened by massive power bills. The owner and founder asked his sons to join him when he signed the solar construction contract because it was such a major economic benefit to the family. The staff also will enjoy parking under the carports that surround the building. Gas station mini-marts use a lot of electricity, due to all the lighting, refrigeration and long hours. Even though we do not gererate enough electricity to cover all of their usage, the owners plan to enjoy their electricity savings. It is a great investment for the future. Second Generation Cabral Western Motors in Manteca decided the time was right to attack their high power bills with onsite generation. It will pay for itself in a few years and provide power bill savings long into the future generation already working there. Winner Chevrolet is a perfect example of a steward of good business You can see this solar system from the freeway and it gives a great image to passers-by. The business owner can sell electricity to his dealership, increasing his residual income, or choose to simply save money on Winner Chevrolet’s power bill. 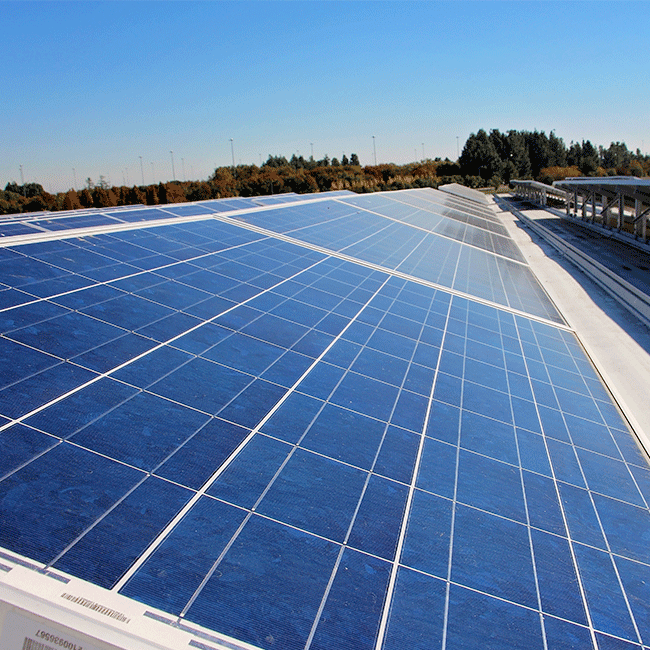 Hanlees Dealerships put solar on 9 of their dealerships. We are now going through the process of installing LED lights, since the roofs did not have sufficient area to cover their entire bill. These dealerships are not only saving the owners money, they are giving the right public image. An innovative business owner with a complex product line, he was looking to eliminate his electric bill and get shaded parking for his cars. The new carport carried with it a 30% tax credit since it was used to support a solar system. This body shop installed a solar system to almost eliminate his power bill. A well known family in the Gilroy area, the owner knew a good investment when he saw one. Another small business that needs to be able to compete in this flat business climate. By eliminating a large expense, they can continue to keep their prices low as their competitor’s expenses rise. This business owner owns his own building and is looking to retire in 6 years. By installing a commercial solar system and selling the power it generates to his business, his retirement income will be increasing by $10,000 per month and it will be increasing along with the electric rates, at 5% per year. 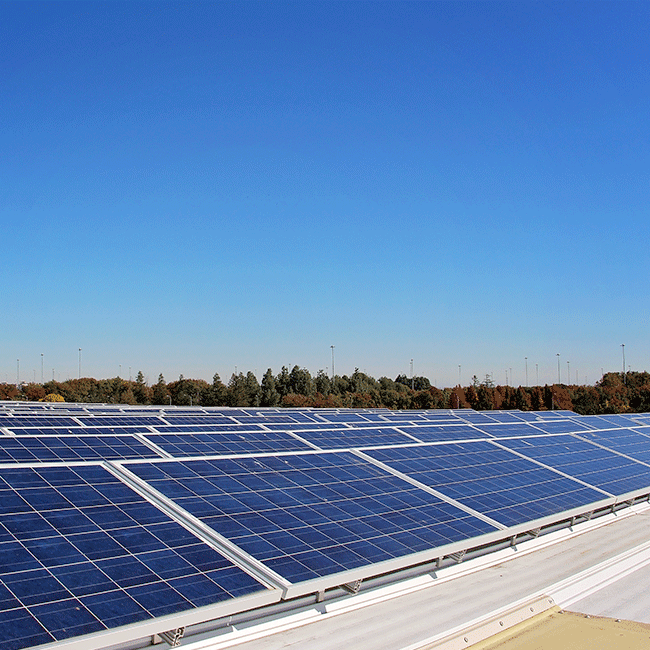 Reducing a large expense by installing a commercial solar system is a great way to get those large jobs that have to be bid so close. The owner will also have a larger retirement income by selling the electricity to the new tenants or from a higher sales price on the building. 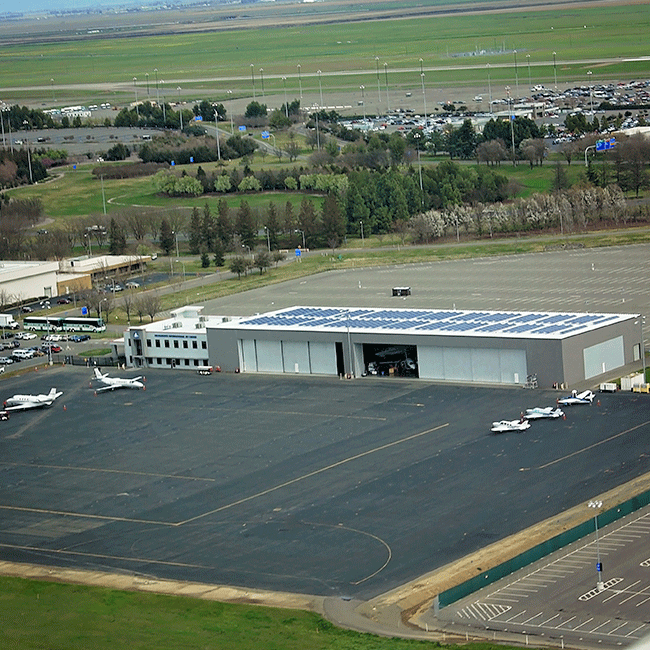 The owners saw benefit in reducing long term costs with a commercial solar system. The father leaving the business can charge for the electricity along with building rent to help his retirement income. 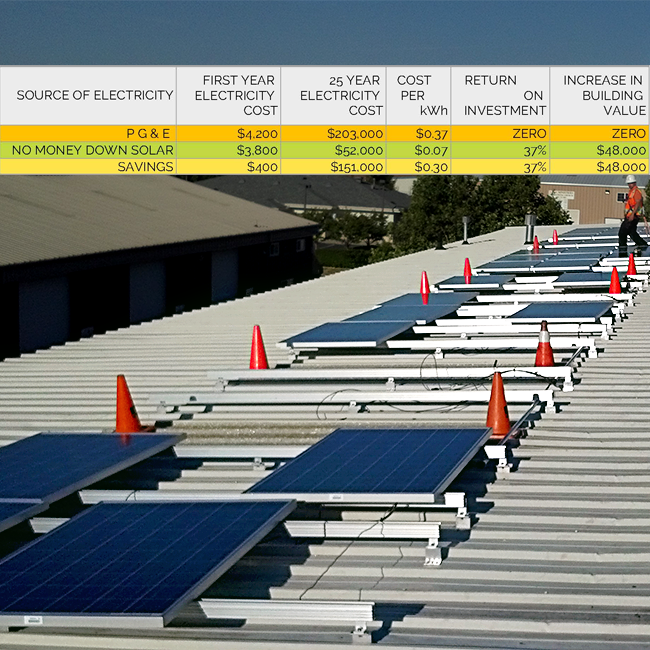 This small business benefitted by lowering a persistent cost, and shading their business with solar panels. They will benefit even further when it is time to sell their building because it will be worth so much more. This is the second system we have installed for this company. By installing this system, the company did not have to shut down its local paint shop with the prospect of shipping product to Mexico to get painted then shipped back. This kept the plant competitive and 200 jobs secure in our country. This business has the solar panels displayed proudly on the front of the building, showing the patrons that the owners are environmentally conscious. Meanwhile, the building owner is selling power to the business, increasing his income from his building. This business owner is no longer with us, but his wife is still benefitting since she is selling power to the firm that is leasing the building. An early adopter that drove an electric car, he invested in solar early and in so doing, has the best benefits. 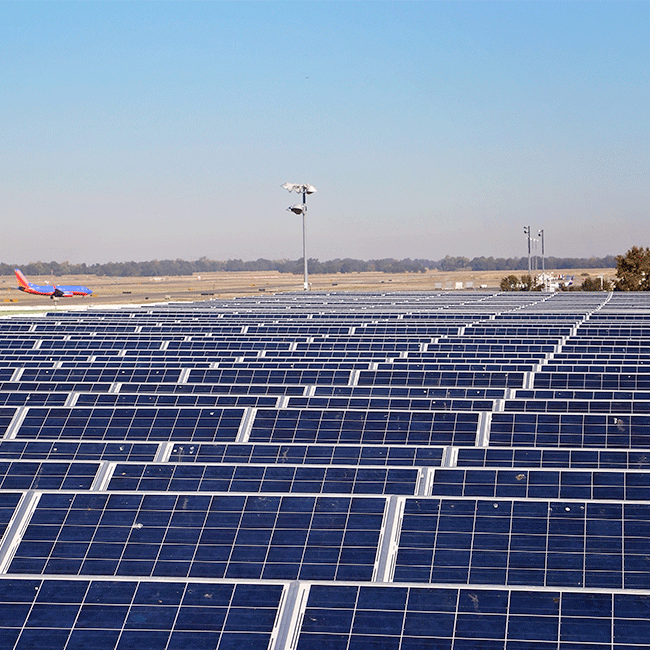 When you fly into Sacramento, you will see the solar panels on top of the Sacramento Jet Center, the terminal where all the private jets fly in and out. Long since paid off, this system continues to give a good public image and increased income to the owners. As with all small businesses, eliminating an expense helps earnings. This money can go straight into the owner’s pockets.